Last week I had a little silly Twitter fun. I feel like sending a pretty fancy letter. Who wants some mail? DM me your mailing address. Capping it at three letters for now because RSI. Basically, I was sort of procrastinating, so I tweeted to see if anyone wanted to receive a hand-written letter from me. A few people replied, and I wrote a couple more, and mailed out a total of six (which reached their various recipients today, it would seem). 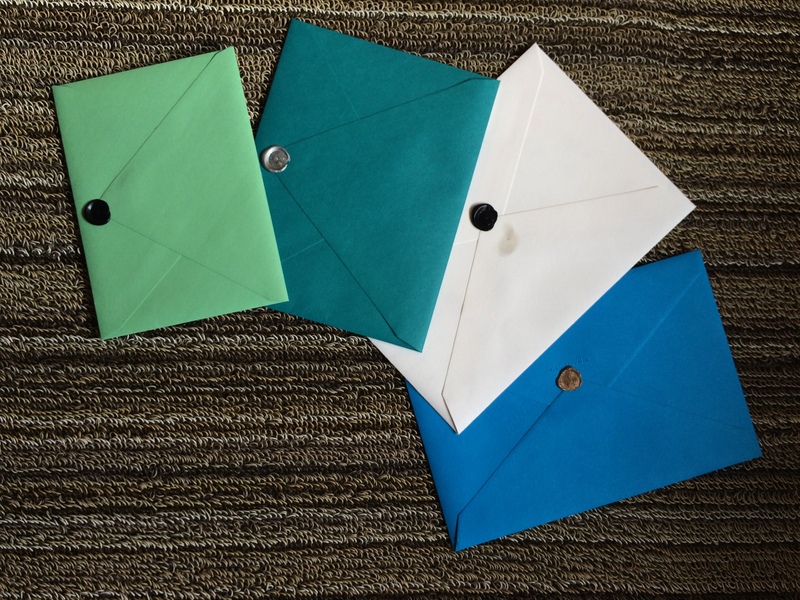 The initial silly little experiment made me realize a couple other letters I wanted to send, you know, to people whom I already actually knew in real life (plus one follow-up to someone who had spied cool stationery in a pic I had posted). So I just sent four more out today. And I thoroughly enjoyed writing, addressing, stamping, and wax-sealing them all. As you can probably tell, I’m a bit of a schmancy sealing wax nerd. I’m also a stationery nerd. But I’ve amassed more sealing wax and fancy letter+card combos than I actually get through these days, especially after we cleaned out our basement. This all got me thinking—what if I just made a point of sending a letter a week? I’m technically ahead by several already if I take this into account! I think I’ll try this as a nice low-risk experiment for 2015. If I miss a week or don’t keep it up, that’s cool. But if I stick to it, it’ll be a cool way to write more “fun” mail more often and use up my massive back-stock of swanky supplies. And in case you were wondering, thank-you cards don’t count!